Introduction and Uses: Also known as the ladies' fingers, ochre or gumbo, this flowering plant belongs to the Malvaceae family. This finger-shaped fruit is fancied for its edible green seed pods. This green vegetable contains ample of vitamins and minerals like Vitamin B, Vitamin C, Potassium, Calcium and Folic Acid. Its water, peel and powdered seeds are used for medicinal purposes too. Sowing container: Use regular circular pots or grow bag with 14-16 inch diameter and a minimum depth of 12 inches. Sunlight: Okra plants require full sunlight. Therefore your raised bed should be made at a bright sunny spot. Keep the Okra container under open sunlight. Watering: Water your potted Okra plant every day in summer & every alternate day in winter. Water at the soil near the plant. Use a watering can to make sure that the plants get water in the form of a shower & not by a single flow. You can also make provision for watering by drip irrigation system for your raised beds. 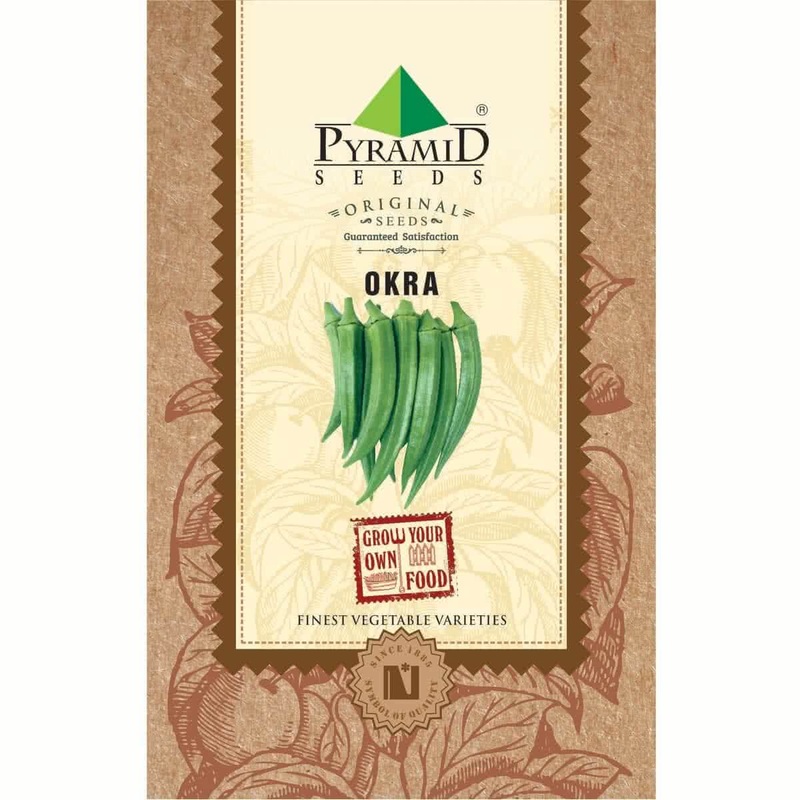 Top Dressing: When your Okra plant is more than 45 days old, Provide 1 tablespoon of 15:15:15 (NPK) fertilizer per plant or mix handful of Vermicompost in the soil around each plant. 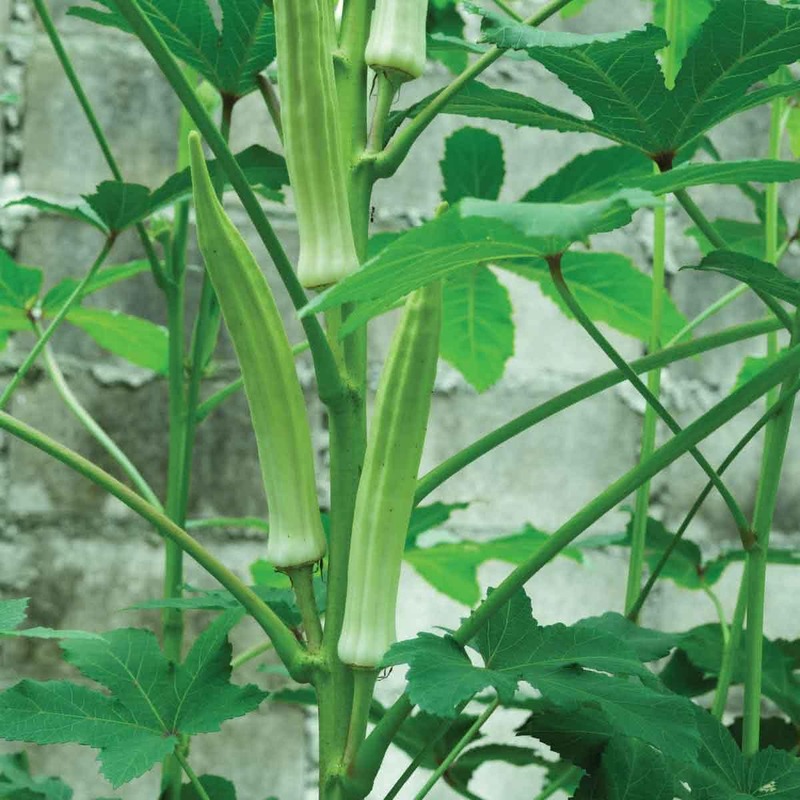 Harvesting: Okra plant will start flowering at the beginning of the 2nd month; raw Okra pods can be harvested within 40-50 days from the sowing of seeds & harvesting season can continue for next 3 months.